These are 11 states that have highest rates of surgical procedures in America, the country which spends the most on health in the world. In 2013, US invested $2.5 trillion, or in other words, $7,826 per capita in health care system, and the largest share of the money, 38 percent, went for hospital care. Still, despite the huge allocation of the financial resources for health, a considerable number of Americans can’t afford the medical care they need, mainly because they don’t have medical insurance. According to Commonwealth Fund, 29 million working-age adults in America, or 16 percent of the population, were uninsured in 2014. These numbers represent a decrease by four percent from 2010, when 37 million people didn’t have insurance. The positive trend is mainly due to Obamacare, which has also led to the decline in a number of people who didn’t get the medical care because of costs, as well as a number of people who reported having problems paying the medical bills. However, the middle class is still struggling with high medical bills, and a large number of insured people can’t afford medical care – Commonwealth Fund estimates that 28 percent of Americans with medical insurance didn’t get the care they need because of high costs in 2014. The fact that almost third of population can’t access needed care becomes understandable when we look at costs of three most expensive surgeries in US – heart valve procedure ($52,625), a coronary artery bypass graft ($40,142) and cardiac pacemaker/ defibrillator insertion/ replacement ($35,028). Thus, it isn’t a surprise that many Americans travel abroad to receive the health care they need. CDC estimates that every year 750,000 US residents visit countries where they can get medical services at much lower costs, and the most wanted procedures among medical tourists are the heart and plastic surgeries. Although many Americans travel abroad to get the desired look, the number of plastic surgeries performed in the US yearly is high, as you can see on our list 10 Most Common Plastic Surgery Procedures in America. 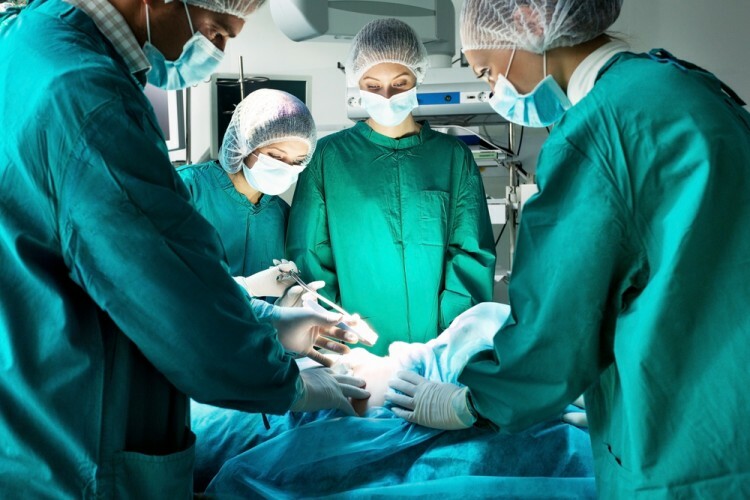 Every year around 50 million surgeries are performed in the US, and the most popular ones are arteriography and angiocardiography, cardiac catheterizations and Cesarean section. We made the list 11 states that have highest rates of surgical procedures in America using the Dartmouth Atlas of Health Care. Along with surgery rate, we present you a state’s health profile which we made using data from America’s Health Ranking, which shows states’ rankings by the prevalence of various illnesses and healthcare measures, and HealthGrove, the site which also ranks states by diseases rates.